Alex J. Cavanaugh: The Martian Reviewed, Godzilla and King Kong, America’s Got Talent, Iron Maiden and Muse Album Reviews, and Ninja News! The Martian Reviewed, Godzilla and King Kong, America’s Got Talent, Iron Maiden and Muse Album Reviews, and Ninja News! The upcoming film, The Martian, was just reviewed at the Toronto International Film Festival. As such, The Martian really is terrific family entertainment. There's plenty of action – including excellent use of 3D and tons of humor, but the absolute best thing is how inspiring a tale it winds up being. It's nice to see a big studio flick that aims for optimism and certainly it feels like a crowd-pleasing hit waiting to happen. Even if you're burnt out on space movies – this is a trip to Mars well-worth taking. Caught this on several sites, including Deadline. Godzilla and King Kong might appear in a movie together. The show is heading into the final week of its tenth season. What’s amazing is there are six comedian and/or magicians remaining out of ten acts. Obviously, people are wanting to laugh more than anything. While I’m still surprised Siro-A didn’t make the final cut, I’m placing my bets on Paul Zerdin, the ventriloquist. The dude is talented and hilariously funny! In its ninth season, Face Off is nearing the halfway point. If you’ve never watched an episode, check it out at least once. It’s fascinating how the contestants go from concept to finished creation in just three days. 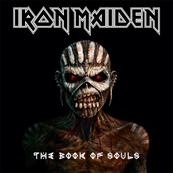 Whoever thought Iron Maiden wasn’t relevant anymore hasn’t heard this new album. These guys have released one of their best albums in the twilight of their career. If you don’t like Maiden, this won’t change your mind. If you do like Maiden, then rock on! Here’s a band that I’ve always dug, but their pop and electronic influences never hooked me enough to buy an album. Drones definitely changed that for me. Whatever you thought of Muse in the past, this is a rock album. Produced by the great Mutt Lang, this album has influences from Radiohead, Queen, Pink Floyd, and about a hundred other bands, all blended together to make a great record. At the Insecure Writer’s Support Group site today, we are honored to have special guest, New York Times best-selling author, Ruth Harris! She’s discussing The Creative Habit, so stop by. Today’s Themes That Rocked the Challenge feature at the A to Z Blog is on Elizabeth Mueller and her art, flower, and My Little Pony theme. Those three things together? You bet – go check it out. If you missed it, Shady Dell posted Shawn and Gus from Psych competing in Rock Jeopardy – with Alex J. Cavanaugh Trebek hosting. And it’s hilarious! And those of you who’ve read Dragon of the Stars, don’t forget the follow-up short story, Dragon’s Destiny, is yours for free. Just email me and tell me what happens to Aden at the then of Dragon of the Stars and which eBook version you need – ePub, Mobi, or a PDF. Author Randi Lee is running a buy one, get one promotion for two of her books: purchase a copy of Randi Lee’s “Affected” between September 14—22, 2015 and receive a free eBook version of “Snap! A Quite Quick Collection.” To receive your free eBook, e-mail a copy of your receipt for the purchase of “Affected” to: randi.leeATmail.com. Anyone excited to see The Martian this fall? Think Godzilla vs. King Kong is a good idea? Watching Face Off? Fan of either Maiden or Muse? Entering the anthology contest? Read Dragon of the Stars yet? See a book you want? And who’s your favorite on America’s Got Talent…? Love that you have been asked to contribute to an anthology. Turning points is a very broad category - with lots of promise. Thank you so much for the shout-out, Alex! You are awesome! Have to check out The Martian, sounds interesting. I am so not in touch with current music. Congrats on your contribution to the anthology. Oh, and I agree about King Kong, no match for that atomic breath. The Passive Voice blog featured an article about The Martian yesterday. The author received a lot of input to get all the science right. I do have an idea for the anthology, but I'm so behind on my own projects I doubt I'll have time to work on the story before the deadline. Congrats on being asked to write for the anthology. I've never written a short story. Iron Maiden is still putting out fresh music? I didn't know that! Wonder if they will ignore Godzilla's breath for this movie in order to make it work? May go see the martian now, sounds like a good flick! PS--"Stay Classy Publications" is my other blogger account---just realized that I thanked you from the wrong Google account! A BIG THANK YOU FROM ME TO YOU, ALEX! YOU'RE THE MAN!!!! While not normally my choice in movie or music, you made both The Martian and Iron Maiden seem interesting. Great post as usual Alex, will pop over to the other blogs you mentioned. The Martians got rave review which is worth a peek. Will look out for it. The ventriloquist in America's Got Talent is fantastic, stands a good chance! Seems there are still many people who did not read "The Martian". There is still time left until the movie will hit the cinemas. I really look forward to see the movie. Congratulations! I sure your anthology contribution will be a good one. 'turning points' is an interesting theme and you dilivered several turning points in your books. But as I know from other writers, to write a short story is different compared to a full novel. Natalie, this will only be my second one. Randi Lee, you're welcome! And you are classy. Elizabeth, they are still rocking! Edi, I still need to read it. And I have a great turning point picked out. I'm looking forward to seeing The Martian. It'll be the first movie in a long while to which I won't be dragging my significant other. He'll actually be in line ahead of me. Didn't know Muse had a new (newer?) album. I'll have to go check it out. Oh, I must check out what Shawn and Gus are up to now. Lots of exciting things going on! I've never watched America's Got Talent but when we were in L.A., someone offered us tickets to watch it. We were down near the Chinese Theater--apparently people hang out there, looking for audience members. He warned us that taping goes on for HOURS and we have to be able to stay the whole time. We decided not to go...I don't know if I could sit somewhere for six or seven hours like that. I'm too impatient! MARTIANS, MAIDEN,MUSE... sign me up I have been enjoying the Muse for sometime now and the I am thrilled about Iron Maiden too... with a lot of the modern music just being awful or I am too old. Some of the groups do shine above and welcome back some of those classics. Martians trailer has grabbed me in, I know I want to see it... fingers crossed. AGT,I normally watch though this year missed so much... so many talented people. We always looked for the stand out person, this year so many. The Martian was the best bad book I've ever read. Or the worst good book. The author - terrible at describing things. Everything is incredibly matter of fact, no emotion whatsoever. And yet I kept flipping pages because I had to know how he solved these problems. If the movie is similar (and hopefully better on the emotional front) it's one I'm very eager to see. The Martian wasn't on my to-see list yet, but now it's struck my interest. Wouldn't want to see Godzilla vs. King Kong though. As to the anthology, I'm working on something...maybe...kind of...see what comes out. I haven't listened to Maiden in forever and a day. I have Disturbed's new album streaming on Spotify. It's pretty good. I'm with you - I think Paul Zerdin may just take the whole thing. The stand up comedian that made it through reminds me too much of Taylor Williamson. Did you watch Last Comic Standing? It was a short season but the addition of Norm Macdonald was the best! Of course Godzilla would beat King Kong easily! Unless King Kong becomes a cyborg. I've seen a few episodes of this season of Face Off. Love that show! I finally got to see the newest Avengers movie this weekend. Fantastic! I'll have to see The Martian then, sounds like it may be good. Look at you writing more, and said you didn't know if you would haha congrats on the anthology addition. "The Martian" is definitely a movie I intend to see. I hope you have a terrific week. Take care. Glad to hear the great review for The Martian. We're looking forward to seeing it. America's Got Talent is one of our favorite shows. Good laughs are hard to find on TV these days. Did you need a crowbar to get all this info into your your post today? I think I just heard that The Martian was a self-pubbed book, too. Doesn't hurt to get an all star cast and Ridley Scott. I wonder if gorilla flambe tastes like chicken? The husband really wants the new Iron Maiden album. I do like Muse. I watch them on Youtube all the time. Epic music from a very talented band. MJ, their new one really rocks. Jeremy, there have been so many talented people this year on the show. I want them all to win. Brandon and Bryan, that's good to know. I still haven't read it yet. Deborah, no worries! And it will always be free. T, glad you're working on a story! Elsie, I didn't see it. MacDonald is hilarious. Pat, I know, I know! How cool to be asked to contribute to an anthology - kudos to you and I know you'll write something wonderful. You always do. I CAN'T WAIT to see The Martian! It's one of the few movies where I really want to go on opening weekend. I'm hoping we can make it a family outing (a rare thing these days, with one daughter taking community college classes and working and the other daughter involved in marching band -- and also pretty grumpy about spending time with family). But we listened to this book on Audible in the car together on last spring's ski trip to Vermont. So I want us to see the movie together, too. The Martian sounds pretty cool. Good to hear it has positive reviews. As for Godzilla vs. King Kong, ugh, really? Really? 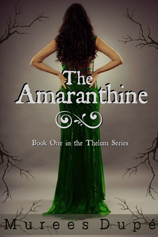 Anyway, the Amarathine looks cool, been seeing that book around a lot this week. Good luck with the anthology, too! I'll have to stop by to check out The Creative Habit. Having a bit of trouble with that right now. i don't see how Godzilla could lose that fight. I'm pulling for Piff the Magic Dragon and Mr. Piffles! I definitely want to see The Martian. It's awesome that you were asked to contribute to an anthology! That's good news about The Martian. We need more uplifting movies! Godzilla vs. King Kong? I'd watch it, even if it were short -'cause it's Godzilla...and King Kong. Godzilla can take multiple types of ammunition. King Kong dies from airplanes shooting him. No contest. Yay, congrats on being asked to contribute to the anthology, you can so do it!!! As soon as Legendary announced Skull Island, I figured they were doing it to get King Kong ready to fight Godzilla. Post-Avengers, I imagine every major company is looking for potential crossovers. I just hope it's good! Not sure about King Kong vs. Godzilla. King Kong doesn't have a chance against the fire-breathing monster! I've started working on the IWSG Anthology contest. I wrote over 2,000 words so far. I was also asked to contribute to Randi's anthology. 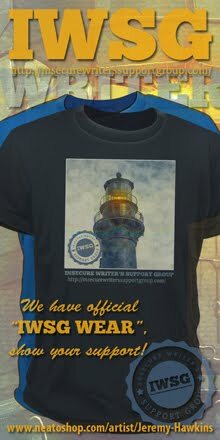 I have an idea, but I'll have to work on it after I get the IWSG thing done. Lots of writing going on at my pad! I hope they get to do Godzilla and King Kong together. It has to be filmed in Japan though. Then if that is successful, I'm going to want to see Godzilla and Mothra on the screen. Hey, I saw you made #1 on the Cats blog last week. It made me do a double take and gave me a good chuckle. Congratulations!!!! Good luck on your new story idea. I'm kind of a Muse fan and I'm really looking forward to The Martian. The book was great. I never watch those competition shows of any kind so I don't have an opinion on them. I'm looking forward to seeing The Martian for sure. Especially since Andy Weir self published his novel back in 2011. It's pretty amazing to see how successful Andy has become. I'm happy to learn that comedians and ventriloquists (magicians too) are getting more recognition. The world needs laughter, and so I shall keep working on bringing it on. I'm surprised that King Kong and Godzilla haven't been in a movie together before. I'm not an Iron Maiden fan but I would give the Muse album a listen. I want to see Martian too. I'm not sure about the Kong/Godzilla gig but maybe after I saw a clip I might change my mind. By the way Dragon’s Destiny sounds fantastic! Very excited for you. congrats on the anthology invite - turning points is a neat subject. Have fun with it - ballet theme in space? Maybe not. The Martian has sounded like a winner and I like the cast. Never been into Godzilla (the last movie was such a bomb), and I like old original black and white King Kong - so fake and yet so good. Muse tends to infiltrate my brain with their music, so Drone might just take it over. Have not been watching network TV, but that will change when Shondaland is back in session on Thurs evening. Have a great week! Good luck with your anthology submission. I toyed with the idea, but haven't really had anything strike me. Plus, not sure I can work in the time with the day job and my own writing chores. Heather! I bet it does taste like chicken. And pick up that album for your husband. Dianne, I hope you can pull everyone together for a show. Anne, that was my third time at number one this year! I'm on a roll. Bish, Piff is a popular choice. Robyn, you do a great job! I'm looking forward to seeing The Martian. 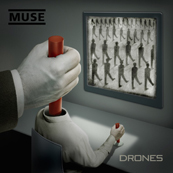 And that Drone-Muse cover looks awesome! I am curious and will have to check 'em out. I just saw Van Halen, and this week I will see one of my fave guys - Billy Cobham, a fusion drummer who played with Miles and also The Mahavishnu Orchestra before forming his own band. It will be fun to see a new Martian invasion. As to the anthology, it sounds like fun. I love to read about parallel universes, but I don't write about it very well. I'll just have to enjoy reading what others write. I hear that Pacific Rim might be factored into the mix with King Kong and Godzilla, too. I plan to see THE MARTIAN when it comes out. Great that you were asked to write a short story for an anthology. As Elephant's Child says: turning points gives you a wide horizon to set down a story. Best of luck. I'm actually playing around with a short story idea for the anthology. I'm not sure it will work as a short story. My brain tends to think in terms of novel length stories, but we'll see! I have seen King Kong vs. Godzilla and love that shlock:) Is it good to remake it? Whoever is thinking this is a good idea needs to be locked away for a long time and be placed back on their meds. I love Face off! You are right that i can't figure out who is just great but there are 2 older guys on there that seem to be quite good (can't think of their names). I was so looking forward to see how Ophelia would look and when i saw the mess I was just wondering what was he thinking? I'm so excited for The Martian. I think Chris might even be convinced about it now. He wasn't interested until he started seeing more commercials. "Gorilla flambé in three, two, one…"
Congratulations on being asked to contribute to the anthology. I'm sure you'll come up with something good. NIce picture of King Kong vs Godzilla. Looks like the lizard is zapping Kong with his fire breath. No wonder the big ape has his arms in the air. I was wondering how the movie was. I just finished the novel (loved it) and can't wait to see the movie. Godzilla and King kong in a face off. Hmmm I think atomic breath stands a good chance at winning. Go get em Godzilla!!! It's all good! Love that kid.Yay! AGT is one of the few TV shows I've been actually watching aside from news now and then. I like the singing duo The Craig Lewis band, but I'm partial to stand up comics. I'll see what everyone does next. Shady gave you a starring role in the post at his site. Congrats on your anthology inclusion - that sounds like a great theme and something you can really work with. Good luck! I will probably see The Martian. That's about all I have today. Haven't managed to catch a movie in weeks, maybe I will have chance next week. Good luck with the anthology submission. Roland, I'd heard that as well. Robin, hope you make it work! Birgit, I don't know what he was thinking. Been some real misses this year. Ivy, I am hear to amuse! Al, yeah, nailed him in his privates. Jean, that is amazing! What fortune. Andrew, if you had more, I'd be shocked. Your posts always remind me of how often I don't get out to the movies! Boy, the Iron Maiden's been around for a while. Hi, Alex J! Thanks for the blog plug, good buddy. I have a question. Is Godzilla vs. King Kong based on a true story? Mutt. What a name. I'll have to use that in one of my books. Really looking for The Martian. We listened to the audio book on a very long drive, enjoyed it. As for Godzilla vs. King Kong..been there, done that, but the new Computer effects might up the game. Did not know Iron Maiden was still making music. Will definitely check that one out. Isn't Murees' cover gorgeous! Godzilla and King Kong...are we in the fifties or something? I'm glad The Martian is getting good reviews. It looks like a great movie. Yeah on the Godzilla vs King Kong thing. I just never got it. The size difference alone would be the end of that fight. I'm excited about "The Martian" as you might have suspected. It's based on a book that was originally self-published. I'll be seeing "The Martian" on opening weekend! Can't wait. Big Matt Damon fan here. Good luck with the anthology story! Martian sounds good - as long as it's not in 3D. I HATE 3D! Sheri, you are an awesome geek. Melissa, you should. And thanks! JE, pick it up - you won't be disappointed. Months and months ago my son told me to read The Martian. He was encouraging me with my writing because he'd read about this author who couldn't get this book published. And now look at him!!!! Looking forward to seeing this movie. My husband and I have become big fans of the American Ninja Warriors. Better get upstairs to watch the finale tonight! You've perked up my interest in The Martian. I was kinda so-so before. Re music. I know you love your metal bands and I recently heard Disturb's new album. It actually wasn't bad for metal (No, I'm not normally a metal fan). They also did an excellent rendition of Simon and Garfunkel's Sound of Silence. Very good. I thought of writing a story I have an idea floating in my head, but I guess I will leave it to ISWG, so many talented authors. I am sure the competition will be tight. I may just write it for myself, as my muse wants to have a say. Godzilla vs. King Kong would be interesting. I vote for the ape! Can't wait to see The Martian. Amerca's Got Talent has produced many show worthy talents. They are after the comedians and magicians this season. That speaks laughter and fantasy. I watch America's Got Talent. Haven't seen any of the others. Face off. Stop right there. Best show!! Love it! I'm more exasperated than anything else by Godzilla vs King Kong. Production companies hate taking risks with movies these days. It's all either sequels of older films, adaptions of stories from other media or remakes of films that were successful decades ago. From the review, I am excited to see Martian. We wait until it is on Netflix though. I would only like a fight between Godzilla and King Kong if the King won. When I was a kid, I loved that old movie with Fay Wray in it. The first time I saw it, I was terrified. My brother, sister and I never liked the Godzilla movies. I think because he seemed fake whereas Kong looked authentic. I did just start reading your book, Dragon of the Stars. Can't wait to see what happens next. I definitely want to see The Martian, that and Spielberg's Bridge of Fear--both sound like movies about someone doing the right thing and being courageous. Love your remark about Gorilla flambé. Poor old King Kong. I love Muse. Such good entertainment news here. I'm writing a short story to submit to the anthology. Love Murees Dupre's book. The cover is super too. Will check out Ruth Harris' post. I didn't know there were comedians on the show. That is a lot to make the finals. I'm curious now to check it out (Am. got Talent). And oh, how exciting about that anthology. Good luck with all the plotting and writing! Read your blog yesterday then got interrupted LOL. I am looking forward to the Martian. The Martian is still on my Must Read list, and now after being pointed to JoBlo’s site and the review of the film, that has to be on my Must Watch list. Thanks Alex for the heads-up. I am a total fan of the original, campy, black and white Godzilla and King Kong movies. Have seen them a thousand times. I'm always leery of remakes. Lynda, I'm sure those guys are rolling over in their graves with that cover! Truedessa, write it anyway! You never know. Godzilla and King Kong, why not! Enjoy Face Off, but will have to catch up. Wonderful that you're onto a new plot - happy writing! Good morning, Alex. Congrats on the anthology. That will be fun. Alex, there are actually folks who DON'T like Iron Maiden?? Say it ain't true. Love all of their music. Especially, Run to the Hills and Hallowed BE Thy Name. Will get this. Speaking of Dragon's Destiny, HOORAYYYYYYYYY!!!!!!!!!! Tamsin and Aden. YEAH! What a great way to tie all that together. LOVED it. P.S. The Martian is a MUST SEE! Good luck on that anthology you got invited to!! I'm going to try and see The Martian, but outer space movies/books tend to freak me out a little... we'll see! A Godzilla VS King Kong movie would be ridiculous. Yeah, Kong is bigger than the average ape, but he's nowhere near the size to properly take on Godzilla... who has, you know... atomic breath. Seriously. Exhilarating interview with Ruth Harris! "Turning points" is a terrific theme - very best wishes! Wish I had something to submit for your anthology but what I had in mind is not a good fit after all so I will try again next time:-) Watching that Novruzov guy on AGT is a heart-stopping experience and the Craiglewis band can truly belt the R&B :-)But then I only happen on the show from time to time... I think the 'wrecking ball' phrase is a bit overused these days, do you? The Martian looks great to me! Came here looking to see if you joined the BOTBs, Alex, but alas. The Martian sounds good. No surprise we want to laugh and/or see things disappear. The world around us doesn't offer (via media sources) much to enjoy. Can't wait to see "The Martian," Alex! Have you read the book by Andy Weir? He self-published on Amazon, and it got picked up by a book publisher! I read it last year and loved it. It's very accurate with regard to the actual topography of Mars ~ I checked that out thoroughly out of curiosity! Have a good one! The rhino story by Ruth Harris sounds great and I don't want the ventriloquist to win because they already had a ventriloquist win once. I'm thinking it's time for a dance group but who knows. Fun to watch. Lot's of great stuff her today. America's Got Talent - Can't believe I missed this season. But it's such an investment of TV watching. I opted for Big Brother as the Summer show to watch. Yes, I know. Insult me all you wish for liking Big Brother, I find it entertaining. Face Off - I don't believe I've ever watched it. Is that the one where they use make-up and such to create interesting creatures? The closest I've come to watching is the one time it was featured on Doctor Who. The Face-Off series was still running in the far, far future, but had changed slightly, more horrific. It's like they say. Face. Off. King Kong vs Godzilla? It might be a laugh fest, but the inevitable CGI doesn't quite have the charm of the old movies, where you could see the stitching. I love Muse's insane ambition, and good to see Maiden are still going strong! I'm sure you'll craft an excellent addition to the anthology. In spite of my addiction to reality shows and music/dance competition shows, I never got into America's Got Talent. Now that American Idol has only one more season run, I have to finally check out AGT and see if I like it. Sorry about my no doubt notable absence from commenting on your notable blog site. Too busy looking after my human, Gary. America's Got Talent is almost as bad as Britain's Got Talent. King Kong versus a revived Bambi is something I would watch. There are Martians taking over the British government. Good luck with coming up with an idea for the anthology! A lot of X vs. Y movies seem to be rather hokey and cheesy, though there are probably a few worth watching. Congrats on the invitation to be part of the 'turning points' anthology. I'm sure your story will rock! Congrats to Murees on the release! Ruth's article over at IWSG website was great. I am also a longtime fan of Muse, and their latest album Drones is indeed a much welcome return to form. I've been hearing good things about the new Iron Maiden album as well, and even though I am not a fan, I think I might have to check it out soon. I think the ventriloquist has a good shot at winning America's Got Talent. There's a lot of talent out there. I was disheartened the year the dogs won, but at least even those who don't win still find promotion by participating. Wow, lots happening this week! Appreciate all the info. Enjoy the rest of the week! I really want to enter the contest. I've got 5 more deadlines before the end of the year, and they're feeling pretty overwhelming, but seriously, who wants to miss out on such a wonderful opportunity? So much going on. I am happy to hear good reviews for The Martian the trailers looked good. The Martian sounds really good! I appreciate movies that throw humor into the mix. About Godzilla and King Kong — I'd have to agree with the gorilla flambé... Good luck with your anthology story! I loved Elizabeth Mueller's A to Z theme. Heading over to check out IWSG. Have a great week! I watched a few episodes of Face Off when it first came out, it's a cool show. The Martian is a movie a really want to see. Godzilla vs. King Kong can work if they get the story right. I saw the trailer for The Martian when seeing Jurassic World. I have hopes for it. I enjoyed the book. Yes, more giant lizards! However, Godzilla doesn't eat people, which I think is a major giant lizard flaw. Alex, where do I go to see a particular review from the past? Thanks for helping me choose the right movie for movie night. I'm not sure about Godzilla vs King Kong, but you never know. Robyn, I know! The horror. And so glad you liked Dragon's Destiny. Madilyn, seriously! And I'd like to think my books wouldn't freak you out. Diedre, I still enjoy it. Glad you liked Ruth's piece. And next year we'll have a different theme, so hopefully it will be more to your style. DG, I only do Battle of the Banned now. Fundy, no, but I want to! Eve, it's anyone's game after last night's performances. Jeffrey, he's my favorite. And yes, that's the show. Patricia, I like it better than Idol. King Kong versus Bambi - I'd watch that, Penny! We have missed you. Mary, he just eats radiation. I'm currently blanking on what The Martian is, so need to refresh my memory. As far as Godzilla vs. King Kong, it's already been done, like you said. I'm not personally interested, but maybe it will do well. Good luck putting together your piece for the Turning Point theme! Godzilla vs. King Kong, sounds interesting. I'm so looking forward to seeing The Martian! The book was my top read of 2014. I just saw a trailer for The Martian and it looks intriguing. I plan to enter the contest and that other anthology, but I'm swamped with some curriculum work and Champion's Destiny, so if I get stories done for those two . . . well, they might be something old and revised, or they might be a break from the big looming projects . . . not sure how it will work at the moment. Movies . . . um, well, my kids are probably going to want to see The Scorch Trials and I would like to go see a movie as a family so I might go with them, although I didn't really care for the book. The first Maze Runner movie was one of those few movies I liked more than the book version of the story. Hey Alex, I decided to do a little blog visiting tonight and wanted to make sure I got to yours. You called it right on the winner of AGT, the ventriloquist won! Saw it on the news this morning. You know I am good with both Iron Maiden and Muse. I will be checking both albums out...honestly, I thought Iron Maiden wasn't around anymore. To let you know, I loved Dragon...it was fresh and original and completely engaging. Merging man and ship was a genius move and a happy ending made it all worth Aden's while. Hope there is something else coming in the future. I bought a copy of Dragon for my nephew for his birthday. He's is a huge scifi fan and he loved it! He's now going to read all three of your Casa series...count him as a fan! I am looking forward to seeing the Martian. It looks neat. What I ma really looking forward to is Everest. I have always been infatuated with Mt. Everest and though I will most likely never climb it, or any other mountain for that matter, I still love it. Call me crazy (most do). I am currently reading a book set back in 1924-1926 about an Everest attempt/body recovery mission that just might have a yetti hiding somewhere in the ending. I just saw the trailer for Martian--sounded like something our family would enjoy watching together. I haven't read Randi Lee's book yet, but I love her literary voice, so this may be the perfect time to pick something up by her. I'm really looking forward to Martian. There are a few things coming soon I'm eager to see actually. I welcome this new album by Muse, one of my favorite bands today! I think The Martian looks good. I really want to read the book! And I definitely have to listen to both of those albums now. I need some good metal for one project I'm working on (soon as I get done with these blasted revisions), and while I've always liked Muse, their more recent stuff just hasn't done much for me. Hopefully them having more of a rock influence will change that. Well, of course Godzilla will win:) hehe I'd watch it for sure. Never seen America's Got Talent... not sure they show it here in Australia. Iron Maiden rocks. Definitely going to get this album! Good to know they've still got it. Hello Captain! I hope summer has been treating you well~ Family stuff has kept me away-a book in all that drama! Figures I was in Maine, while Blitzed...didn't even realize it! Boy, was I surprised or maybe I should say Oh, buoy~ Lame, I know! I have missed you, Captain Cool! Tyrean, hope you enter something! And that's not good. Chuck, you are the man!!! And yes, Paul won, which is cool. Jeff, I'll never climb it. Mason, I noticed that as well... And check it out - they do rock harder now. Ella, I have missed you. MUSE is my Juice! Love the tunes they produce! OK, let's see if I'm two for two in leaving a comment here. Saw a preview of, The Martian and it does look interesting. Godzilla vs King Kong...I'll pass. As for the music; I like MUSE, so I'll check out their new release. Cool that so many comics and/or magicians are in the mix for AGT this year. It's been a while since I watched the show, but your guy, Zerdin, sounds like he may be this year's Fator?? Dang it, I was hoping that dragon dude would win. I've got The Martian in my reading queue; with any luck, I'll get to it before the movie's out. Glad to hear it's a trip to Mars well-worth taking. But Godzilla vs. King Kong.....if it were up to me, this would be a definite no-go area. I'm not a fan of cross-overs or geeky wet dreams, if you know what I mean. Name one cross-over that was any good. Freddy versus Jason? Alien versus Predator? Yikes. Gorilla flambe - hahaha! I'm glad to hear that Martian is good though. Congrats to Murees on her new release! Well, now. I missed this! Heading over to IWSG to read Ruth Harris. Happy Monday, Alex. I've really never understood the "This versus That" movies, but I must be in the minority, since they keep making them. For the record, my money's on Godzilla. Ooh, I want to see it! I love my scifi movies! Gonna listen to 'Drones' now, hubby's got it *grin*. I like me some Muse, too. Congrats on the invite to write for an anthology!